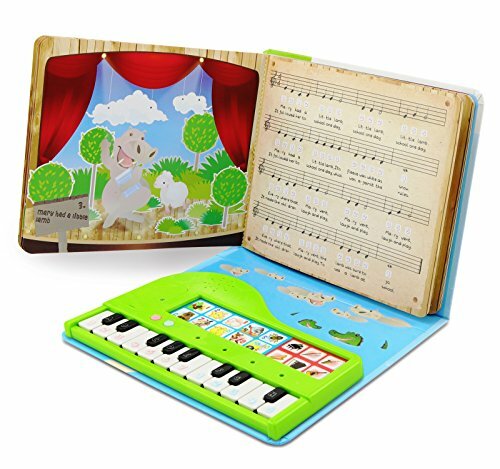 MULTI AWARDS WINNING FUN LEARNING TOY - Mom's Choice Gold Metal & Tillywig Best Creative Fun Award Winner 2017! 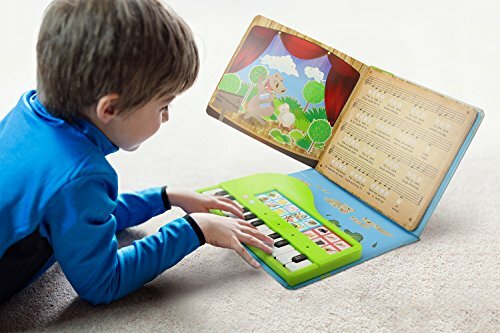 An interactive and portable book-sized piano for little music lovers! 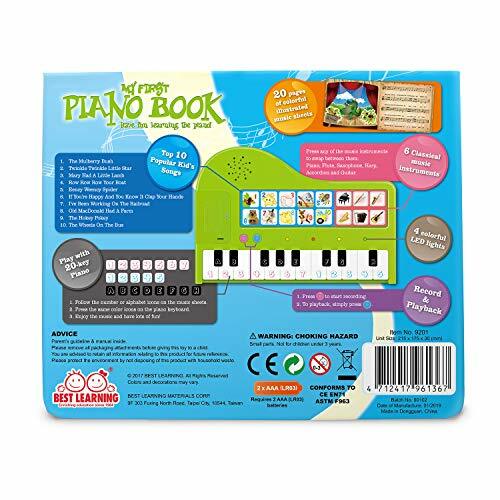 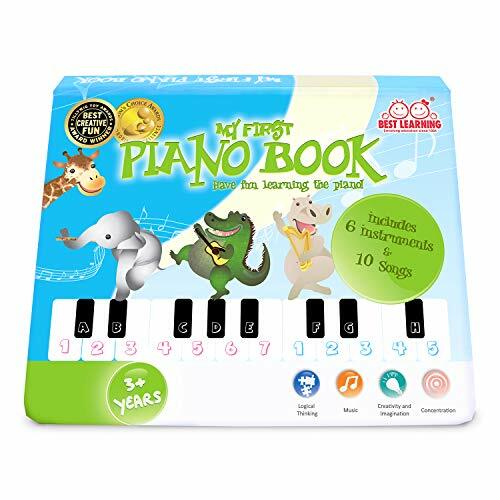 Includes an illustrated songbook with color-coded key chart with 10 Songs & 6 Musical Instruments. 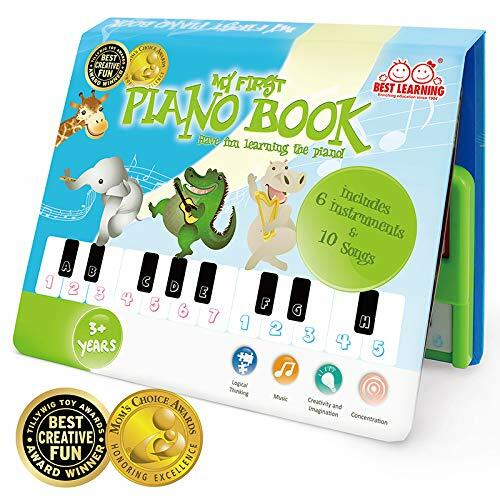 Learning piano has never been so easy! 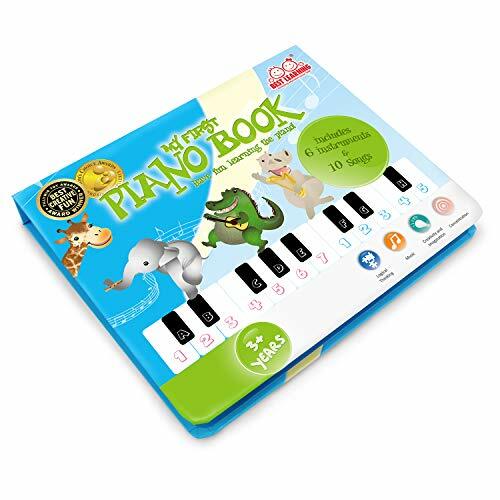 Great gift idea for little boys and girls; music lovers. 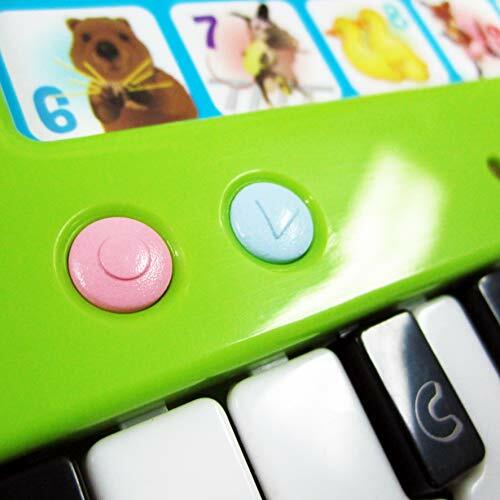 Record & Playback; listen to how well you played! 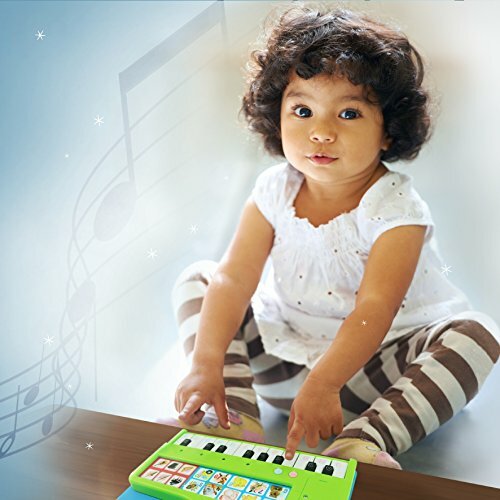 Skills learned include music, concentration, logical thinking and creativity and imagination. 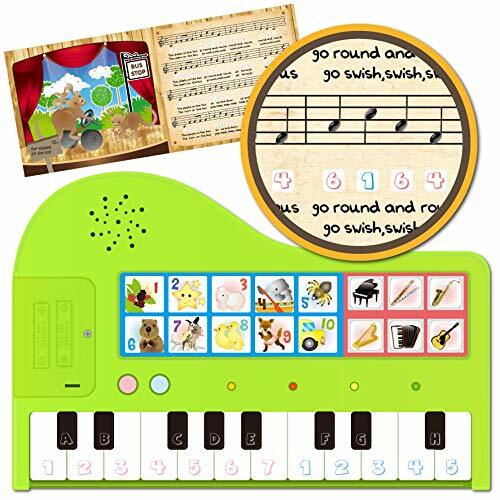 Requires 2 AAA batteries (alkaline batteries included); intended for preschoolers and early learners of ages 3 years and up.